Not to be confused with Public Television of Russia. Channel One (Russian: Первый канал, tr. Perviy kanal; IPA: [ˈpʲɛrvɨj kɐˈnɑl], (literally First Channel, 1991–2002 as Public Russian Television Programme 1)) is the first television channel to broadcast in the Russian Federation. The channel replaced the channel "Ostankino" that broadcast until the Soviet Union broke up in 1991 as a successor to the First Channel of the central television of the USSR. It has its headquarters in the Technical Center "Ostankino" near the Ostankino Tower, Moscow. Although for everything, Channel One Russia keeps its programme from year 1995 to 2016. Last, Channel One Russia discontinued its show Russian Roulette in July 13, 2003. First among Russia's country-wide channels, Channel One has more than 250 million viewers worldwide. It implemented 16:9 broadcast format on 4 January 2011 to 1 June 2011 and 10 October 2011 on satellite and digital cable broadcasting, and 14:9 on analogue broadcasting. From 1995 to 2002 the channel was known as Public Russian Television (Russian: Общественное Российское Телевидение, tr. Obshchetvennoye Rossiykoye Televideniye, ORT) or Russian Public Television. Channel One has produced many films, including four of the highest-grossing Russian movies after the Soviet collapse, Night Watch (2004), The Turkish Gambit (2005), Day Watch (2006), and The Irony of Fate 2 (2007). It airs the Russian adaptations of Who Wants to Be a Millionaire?, Survivor, and Star Factory, as well as many homegrown productions. Body of Proof (Russian: Следствие по телу, Sledstvie po telu, "The investigation of the body"), the series premiered on 7 February 2011. For the history of this channel before 1991, see Television in the Soviet Union and Soviet Central Television. When the Soviet Union was abolished, the Russian Federation took over most of its structures and institutions. One of the first acts of Boris Yeltsin’s new government was his signing of a presidential decree on 27 December 1991, providing for Russian jurisdiction over the central television system. The ‘All-Union State TV and Radio Company’ (Gosteleradio) was transformed into the 'Russian State TV and Radio Company Ostankino'. A presidential decree of 30 November 1994 transformed Ostankino into a closed joint-stock company, Russian Public TV (Obshchestvennoe Rossiyskoye Televidenie or ORT). The shares were distributed between state agencies (51%) and private shareholders, including numerous banks (49%). The partial privatization was inspired by the intolerable financial situation of Ostankino owing to huge transmission costs and a bloated payroll (total staff of about 10,000 in early 1995). Following the 1998 financial collapse, the channel obtained a government loan of $100 million from state-controlled bank Vneshekonombank. Also in 1998, the closed joint stock company was transformed into an open stock company. However, controlling votes on the board of directors remained in the hands of structures linked to then-Kremlin-connected businessman Boris Berezovsky. Thanks to this state of affairs, Berezovsky was able to preserve control over the channel’s cash flows as well as over its editorial line until 2002. From 1 April 1995 until late 2002, the channel was called ORT (ОРТ—Общественное Российское Телевидение, Public Russian Television). It maintained the traditional programs and shows of the First Channel of the Soviet Television (RTO), such as Vremya, KVN, Chto? Gde? Kogda?, V mire zhivotnykh and Klub puteshestvennikov; the last two are no longer on the air of this channel. In autumn of 1999 the channel actively participated in State Duma electoral campaign by criticizing Moscow mayor Yuriy Luzhkov, Yevgeny Primakov and their party Fatherland-All Russia, major opponents of the pro-Putin party Unity. Sergey Dorenko, popularly dubbed as TV-killer, was a close ally of business oligarch and media magnate Boris Berezovsky. From September 1999 to September 2000 he hosted the influential weekly program simply called Sergey Dorenko's Program on Saturdays at 9 pm. This was especially heavy on criticism and mercilessly attacked Putin’s opponents. In August 2000, however, his program criticized how the Putin government handled the explosion of the Russian submarine Kursk. When Dorenko’s show was in turn suspended on 9 September 2000, ORT director-general Konstantin Ernst insisted that — contrary to Dorenko's allegations — the government had not been involved in the change. Ernst stated that he yanked the show because Dorenko had defied his orders to stop discussing the government's plan to nationalize Boris Berezovsky's 49-percent stake in the network. Berezovsky claims that in 2001 he was forced by the Putin administration to sell his shares. He first tried to sell them to a third party, but failed. A close friend of Berezovsky, Nikolai Glushkov, was arrested while seriously ill, and Berezovsky gave up the shares and transferred them to Roman Abramovich's Sibneft with the understanding that Glushkov would then be released. This promise was not fulfilled. Soon after Berezovsky's withdrawal, the new ownership changed the channel's name to Pervy Kanal (Channel One). Konstantin Ernst remains as general director. As of 2008, Channel One's minority shares are held by three little-known companies, ORT-KB, Eberlink2002, and Rastrkom-2002. Their parent companies are domiciled in Panama and Seychelles and are managed by Evrofinans Group. The ultimate owner is still believed to be Roman Abramovich, who also controls the Video International advertising agency, the exclusive media seller of Channel One. Russian television media in the Putin era have been criticised for the pro-government bias. The critics charge that Channel One's news and information programs are frequently used for propaganda purposes. These critics contend that Channel One airs a disproportionate amount of stories focusing on positive aspects of official government policy, while largely neglecting certain controversial topics such as war in Chechnya or social problems. In addition, some have argued that the station's news reports often blur the line between factual reporting and editorial commentary, especially when broadcasting stories concerning Russian government policies or goals. For example, during the 2004 Ukrainian presidential elections, many political observers believe the Russian government actively supported the candidacy of then Ukrainian Prime-minister Viktor Yanukovych over that of Viktor Yushchenko. In a 13 October 2004 news story, Channel One reporter Natalya Kondratyuk declared that "the Premier [Yanukovich], as a candidate, is adding to his ratings by working on the economy and by solving current social problems; he does not use slogans; he is not criticizing his opponent; and he is not creating scandals. Yushchenko’s style of campaigning is diametrically opposite." In another controversial example, on a 23 January 2005 broadcast, in the midst of widespread protests against a new reform of Russia's social benefits system (L'goty), a Channel One anchor opined, "you can understand, and should understand, those who went out on the streets, but you also have to understand that the old system has completely outlived its use." Later, in the same story, a reporter characterized those protesting against the reforms as political opportunists, adding, "criticizing the reform is good PR." A few days later, on 27 January 2005, as the protests continued across Russia, a Channel One reporter noted, "You can understand the elderly [protestors, but] repealing free [bus] fares was the last hope for public transport." Similarly, on a 12 February 2005 broadcast, a Channel One anchor declared, "The key question of the week has been: how are Presidents [Mikheil] Saakashvili [of Georgia]) and Yushchenko [of Ukraine] different? At first, it seemed the difference was only in their appearance, in all other ways, they were like characters from the film Attack of the Clones for us." Critics of Channel One news argue that hundreds of similar examples exist where station news reporters and anchors insert editorial commentary into news reports, almost always to commend perceived allies of Russia or criticize perceived enemies. As of 2006, Vladimir Posner, Ekaterina Andreeva, Petr Tolstoy and Mikhail Leontiev are among the most prominent political journalists of the channel. On Sunday, 28 January 2006, the Channel One news and analytical program Sunday Time (Voskresnoye Vremya) hosted by Petr Tolstoy distorted the content of a speech by Belarusian President Alexander Lukashenko related to the Russia-Belarus energy dispute to the contrary by editing it and deleting some crucial words. According to a BBC News analysis by Stephen Ennis the channel has in its reports about Ukraine’s War in Donbass "sought to further demonise and dehumanise the Ukrainian army". The morning of 12 January 2008 on the program Health (Russian: «Здоровье») with Elena Malysheva about Guillain–Barré syndrome, in one of the sections a rat was violently killed. Some of the viewers said, first, that this was intolerable in a program whose audience includes children and, secondly, it was contrary to the Criminal Code of the Russian Federation. In particular, some claim that viewing such violent and cruel scenes poorly affected the health of some children and people. The main broadcasting center is in Ostankino tower, Moscow. On September 2008 the channel installed new digital audio mixing systems in their new state-of-the-art broadcast complex located in the Ostankino Television Technical Centre in Moscow. The new Channel One news facility opened in March 2008 and features advanced server technology with equipment from the world's leading television equipment manufacturers such as Thomson, EVS, and HP. Spearheading the transition of the renovated news facilities was Okno TV. Channel One began broadcasting a 1080i high-definition signal on 24 December 2012. ORT Bank Consortium, RastrKom 2002 and EberLink (49%) are controlled by Roman Abramovich, while Rosimushchestvo, ITAR TASS and TTTs vote on behalf of the Russian state (51%). Channel One was the host broadcaster of Eurovision Song Contest 2009, announced in December 2008, in a press conference at the GUM shopping centre. Channel One director Konstantin Ernst was present at the press conference. ↑ Рейтинги СМИ – ТВ (in Russian). TNS Russia. August 2010. Retrieved 30 August 2010. 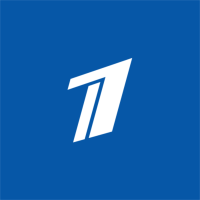 ↑ "Partner Network of the Month: Channel One Russia". International Media Distribution. ↑ Лето в широком формате – Акции Первого – Первый канал (in Russian). Channel One. 31 May 2011. Retrieved 2 June 2012. ↑ "1tvru". Retrieved 31 May 2015. ↑ Russian Elections (transcript), Jim Lehrer NewsHour, PBS, 17 December 1999. Accessed online 23 April 2008. ↑ Emma Gray, Putin's Media War, CPJ Press Freedom Reports, 27 March 2000. Accessed online 23 April 2008. ↑ A. Petrova, TV journalist Sergey Dorenko, The Public Opinion Foundation Database. 21 September 2000. Accessed online 23 April 2008. ↑ Russia 2000 Country Report, CPJ. Accessed online 23 April 2008. ↑ Elena Dikun, The Kremlin Sets About Cleaning Up the Airwaves, The Jamestown Foundation Prism, Volume 6, Issue 9, 30 September 2000. Accessed online 23 April 2008. ↑ Andrei Zolotov Jr. and Simon Saradzhyan, Dorenko Program Has Plug Pulled, The St. Petersburg Times, Issue #602, 12 September 2000. Accessed online 23 April 2008. ↑ ORT officials accused of contraband and evading customs tariffs, The Jamestown Foundation Monitor, Volume 7, Issue 2, 3 January 2001. Accessed online 23 April 2008. ↑ (Russian) Владимир Прибыловский (Vladimir Pribylovsky), Юрий Фельштинский (Yuri Felshtinsky), Операция "Наследник" (Operatsya "Naslednik", "Operation 'Heirs'"), online excerpt from the book Штрихи к политическому портрету В. В. Путина (Shchtrihi k politicheskomu portretu V. V. Putina, "Sketches toward a political portrait of Vladimir Putin"). Accessed 23 April 2008. ↑ For example, see Index on Censorship Volume 37, Number 1, 2008, issue entitled "How Free is the Russian Media?" ↑ (Russian) Григорий Цветков (Grigory Tsvetkov), Шоковый рейтинг Archived 20 January 2008 at the Wayback Machine. (Shchokvy Reiting, "Shock Rating"), Izvestia, 16 January 2008. ↑ (Russian) Первый канал – Форум – Первый канал представляет... – В Эфире Первого канала... – Здоровье с Еленой Малышевой (Pervy kanal — forum — Pervy Kanal predstavlyaet... – V Efire Pervogo kanala — Zdoroviye s Yelenoy Malyshchevoy, "Channel One — Forum — Channel One is... – Health with Yelena Malysheva). Forum on Channel 1's website. Accessed 22 April 2008. ↑ (Russian) Ведущая «Здоровья» Елена Малышева: «Мы не убиваем крыс в эфире» (Bedushchaya «Zdovоv'ya» Elena Malysheva: «Mi nye ubivaem kris v efire», "Head of Health Elena Malysheva: «We do not kill rats on the air», Аргументы и факты, (Argumenty i Fakty). Date not given, no longer accessible online 25 April 2008. All or part of the commentary article appears to be reproduced at www.dogandcat.ru. ↑ (Russian) Человек Среды (Chelovek Sred'), Убить за рейтинг Archived 21 February 2008 at the Wayback Machine. (Ubit' za reiting, "Kill for the rating"), Росбалт (Posbalt), 18 January 2008. Accessed 22 April 2008. ↑ (Russian) Статья 245 УК РФ. Жестокое обращение с животными (Stat'ya 245 UK RF. Zhestokoe obrashchenie s zhivothimy, "Article 245 CCRF. Ill-treatment of animals"). Online at fizteh.ru. Accessed 22 April 2008. ↑ (Russian) Первый канал – Форум – Первый канал представляет... – В Эфире Первого канала... – Здоровье с Еленой Малышевой (Perviy kanal — forum — Perviy Kanal predstavlyaet... – V Efire Pervogo kanala — Edorovie s Elenoi Malishchevoi, "Channel One — Forum — Channel One is... – Health with Elena Malysheva). Forum on Channel 1's website. Accessed 22 April 2008. ↑ "Avid – Channel One News". Retrieved 31 May 2015. ↑ "Вещание в HD, онлайн-чат с Алексеем Ефимовым". Retrieved 31 May 2015. ↑ (Russian) С. А. Агапцов (S.A. Agaptsov), Контроль расходов федерального бюджета на здравоохранение, социальную политику и за бюджетами государственных внебюджетных фондов Archived 28 January 2007 at the Wayback Machine., (Kontrol' raschodov federalinogo budzheta na zdravoohranenie, sotsial'nuyu politiki i za byuzhetami gosudarstvenniih vnebyudzhetnih fondov, "Controlling federal budget spending on health, social policy and budgets for state extra-budgetary funds"), Счетная палата Российской Федерации (Schetnaya palata Rossiiskoi Federalii, "Account Chamber of the Russian Federation"). Accessed 22 April 2008. ↑ (Russian) Владимир Темный (Vladimir Temniy), Электронным СМИ – положительный заряд (Elektronim SMI — Polozhitel'ni Zaryad; "The electronic media — a positive charge"), grani.ru, 20 October 2005. Accessed online 22 April 2008. Wikimedia Commons has media related to Channel One Russia.